Farm Owners Insurance – Walock-Johnson Insurance, Inc. 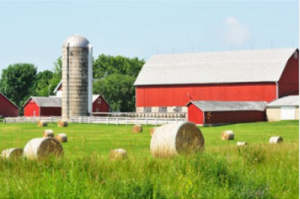 Your farm or ranch is a valuable asset and you deserve the best insurance protection available. We specialize in farm and ranch property coverage that enables you to select those coverages that meet your specific needs. Each farm operates a little different from the next and is exposed to various risks along the way. To simplify the insurance process, we offer a customizable farm owners package designed to include coverage for the ordinary risks a farmer might face.